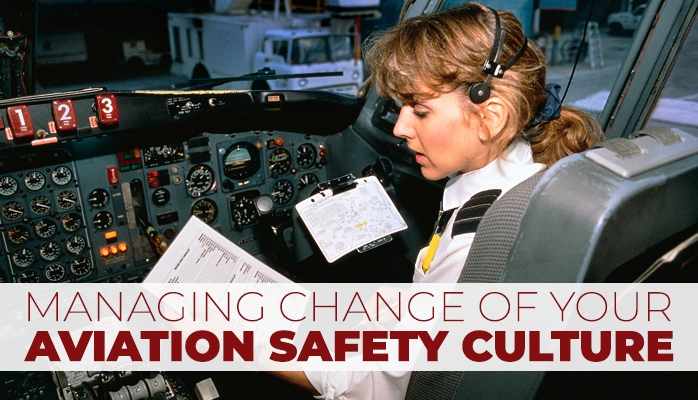 Let's Improve Your Aviation Safety Culture Together! A major obstacle for most safety managers are other managers. Most safety managers are not upper-level managers. Convincing upper level managers that your safety program benefits the entire organization can be difficult. We hear this repeatedly from all aviation industry segments and from ALL over the world. An effective approach to gaining acceptance and reducing resistance to your safety program is by demonstrating benefit. Are always whining why your safety strategies won't work. Note: We are starting from the top, as opposed to starting from the bottom of the organization. We have seen both tactics, but believe that the leaders themselves must embrace the SMS principles first, both to challenge and to motivate the rest of the organization. We want to provide tools to help you manage these recalitrant managers. By providing feedback, we can analyze a common thread among these managers and come up with a stragegy. You are on the front lines. You are the experts and we value your feedback. Thank you in advance for filling out the quick survey. How Can We Help You Change Safety Culture?